The surge in the value of Ripple (XRP) from $0.01 to $1 a coin in one year and its inclusion in the top ten cryptocurrency list have caused a lot of discussions around this currency on how to securely buy and store them. We can store XRP in the best ripple wallet but first, let’s dig down into the question of why? Why do I need the Best XRP Wallet? Best Ripple Wallets: What’s Your Choice? Just like you need physical wallets to keep your physical fiat money, you would require an equivalent wallet for cryptocurrencies. It is used for storing, transferring, receiving and managing your coins all in one place. Storing of cryptocurrencies doesn’t mean to actually store the coins there. Instead, it generates a private key (hexadecimal code) which is used together with the public key (another hexadecimal code) and that is eventually linked to a certain amount of currency. So, a xrp wallet is used as a personal ledger of transactions. There are several types of cryptocurrency wallets on different platforms such as the Desktop, Online, Mobile, and Hardware. 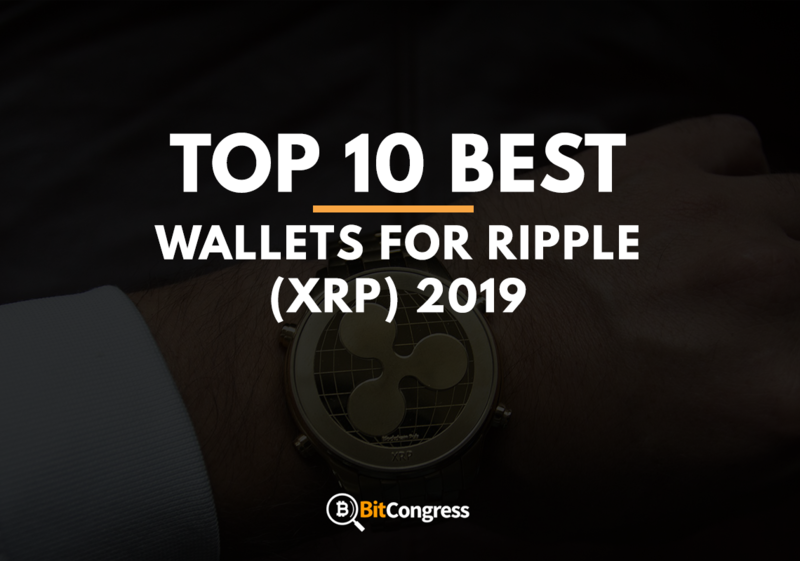 In this article, we will see the best XRP wallets and their various features depending on the category they belong to. Ledger Nano S is a hardware XRP wallet that comes in a compact shape like that of a USB drive with an attached OLED screen. It is considered to be the safest Wallet due to its tiny size and its ability to store private keys which limits a hacker’s ability to steal the currency. While other xrp wallets restrict the number of coins to be stored, It allows you to store unlimited XRP coins. Moreover, other cryptocurrencies can also be stored. Ledger Nano being a hardware wallet for ripple makes currency usage easy, secure and hassle-free. You just need a device compatible with this device like a PC or a mobile and then you can start sending and receiving XRPs. All the private keys are stored in an offline environment i.e. your PC and hence it becomes quite difficult or even impossible for hackers to hack into your Wallet and steal. You can connect this device to a PC running Windows, Mac, Linux and Chrome OS. You can also connect it to your Android Phone using an OTG Cable. This device comes with a separate display screen to show the transaction details like the seed key which is generated after the transaction carrying important details, thus making it resistant to threats like uninvited screenshots or hacking into the device screen, which is a possible threat in software Wallets. After connecting Ledger Nano S to your PC, you need to install an application to check your XRP balance and all the transactions. When sending XRP to someone, you need to physically use the device to confirm the transaction, which makes it more secure as the hackers won’t be able to access the device physically. The private keys are stored separately in the device as it supports the cryptographic attested, firmware uploaded in its dual-chip architecture. Moreover, when you plug it into the PC, it asks for 4 digit PIN code. In order to create and launch XRP Wallet, Install the Ledger Wallet Ripple application on your PC through the link on its official site and install Ripple Application on a device through Ledger Manager. You can change the settings using the device itself, scrolling is done by one button and clicking on an option by both buttons. Likewise, close “Browser Support”. Launch Ledger Wallet Ripple on your PC. It will synchronize automatically and then you can use it. Your data is confidential and secured by a PIN code, and as it is isolated no one can steal it. It has a Built-In Display and Hard buttons, which gives an intuitive experience for the user maintaining safe and easy access to accounts. It can support different cryptocurrencies at a time in the same hardware Wallet. The Ledger Nano S is Malware proof i.e. all the initialization and restoration of xrp ripple wallet is done separately in this device, hence outside world cannot hack your cryptographic keys. Hence, your privacy is extremely high as even Ledger doesn’t know your private keys and access to your device. As it is a hardware wallet for ripple, keeping it safe is your own responsibility. The vulnerability it faces is someone stealing it from you. 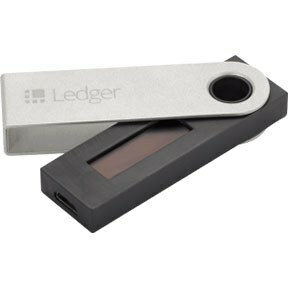 Never use a Ledger Device that has been already initialized. Also, always keep your PIN code and write it down somewhere. 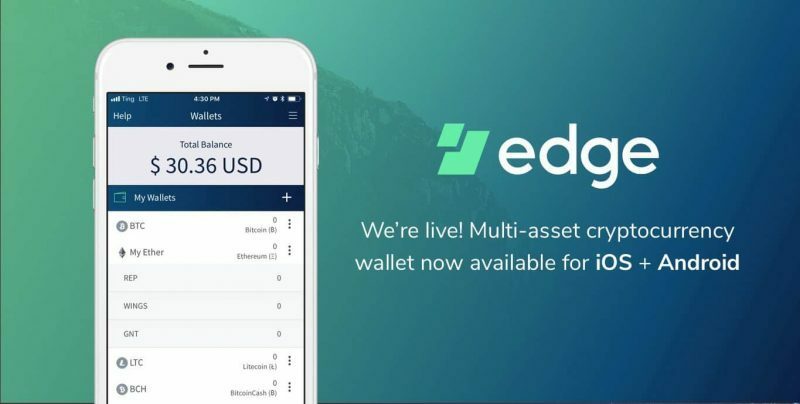 Edge Wallet is an open source non-custodial cryptocurrency wallet available on iOS and Android. Edge (formerly known as Airbitz) has been operating a mobile wallet since 2014 and licenses its SDK to companies and projects that need to utilize its security tools and battle-tested wallet infrastructure. The Edge Wallet is fully private, with only the end user having control over the many assets the wallet supports. The Edge Wallet enables fiat to crypto exchange, crypto to crypto exchange, and direct access to the Ripple network all from a mobile device. This is an ideal wallet for xrp as it has all the necessary features. Edge uses a username and password set up to create and encrypt accounts locally on the end user’s device before any information hits the phone disk. Edge never sees nor knows the username and password for an account. Edge automatically backs up your encrypted account as a fail-safe in case of damaged, lost, or stolen devices. Edge always gives its users sole access to their master private seed or master private key for every wallet the user creates in their account. Edge also gives the users options to ramp up the security of their account. Two that stand out are Password Recovery and their One-Touch 2-factor authentication set up. To mitigate against the case of forgotten account credentials, a user can secure themselves even further by setting up Password Recovery. Their 2FA set-up thwarts attackers by only allowing logins from specific devices that the user gives access to. No extra authentication app is needed, and no phone number is used for Edge’s 2FA, all of which is done through the tap of a single button. Edge has a decentralized server infrastructure and connects users directly to the crypto networks they use. Even if Edge servers go down, a user’s wallets will continue to function. Download this ripple wallet online from the respective app store on your mobile device. iOS and Android are supported. Set up a Username and Password to create and encrypt your account, with the ability to set up a PIN or fingerprint login for easy access. Add an XRP Wallet to your Edge account. If Password Recovery is not set up and a user forgets their username and password, Edge will not be able to get them into their account. By design, Edge does not know the username and password of any account. 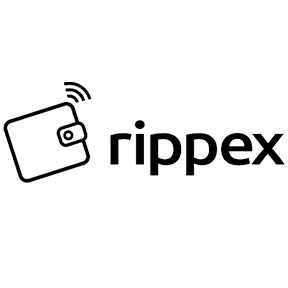 Rippex is a Desktop Wallet and one of the best ripple wallet online, which gives you more control over your Wallet, as it is an application which you can download it in your PC as well as mobile and the private keys are stored on your PC or mobile. The transaction fee is less and hence, it is useful for trading. This ripple online wallet, claims that it carries out a multi-verification system and all transactions are validated by Ripple network. All the transaction information is kept public achieving transparency with a special monitoring of privacy. They maintain Two-step Authentication (2FA) to keep your keys more secure. In order to create a Ripple Account on Rippex, download the ripple online wallet application given on their site. Install the application according to your OS be it Mac, Linux or Windows. Activate your account by receiving some XRPs. For payments, you have to know the recipient’s Ripple Address and then enter the amount of XRPs you want to send. Click “Confirm”. This ripple online wallet provides more control to the user. Stringent two-way verification process and low transaction fee. Supports fiat currencies as well as Euros, Yen, US Dollars etc. Agility in transactions and claims to be a transparent service provider. Mobile App of Rippex has a great interface and is used when in need of quick transactions and trading decisions. Though it is safer than online Ripple Wallets, however, it is not completely safe from malware on your computer. Advised to keep your PC virus free and keep making anti-virus checks regularly. Always use a trusted computer. Try not to access your Ripple account from shared computers or networks. One of the most famous wallets is Gatehub. You can store and retrieve your XRP currency anytime which makes it more user-friendly. It provides an Exchange system type of service and a comprehensive view of all the rates of assets. You can have a consolidated view of rising and gain of all assets at one place, which is a huge timesaver. It also offers other cryptocurrencies like Bitcoin, Ethereum, Ethereum Classic, and Augur. For the Ripple wallet to operate, a minimum of 20 XRP is required, otherwise, the wallet is disabled. To create a new wallet, first, make an account on their site using your email ID. Go to wallets page. Click on “+” to add new wallet. Enter a wallet name, select a wallet type and then, click Create. The process of sending payment is straightforward, just select the Wallet and click “Send Payment”. You can use recipient’s information like email address, Ripple address, Ripple name, Gatehub name, Wallet name and Contact name. Enter your Amount to be sent and click “Confirm” to start the transaction. Gives information about the values of all assets, used for trading purposes. Provides your wallet statistics and the net amount in real-time to save the tedious method of counting XRPs yourself. Instant payments using just name or address, unlike methods used in banks such as verifiable pins and account numbers etc. You can trade your XRP and also buy other currencies under one platform. 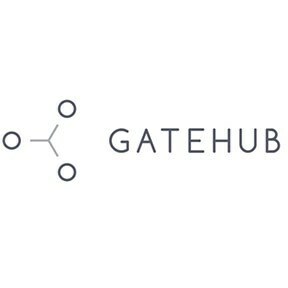 Ripple company does not officially endorse or represent Gatehub, but it is given as a reference on their site. Although all the passwords and private keys are encrypted using industry standard techniques, it is still vulnerable to cyber-attacks, stealing of coins and other malware practices. This is a type of a hot wallet, meaning it is an online wallet. All the encrypted keys are generated on the phone using Toast and never leave, thus making it more secure and less prone to cyber-attacks. Its source code and the software binaries are open and therefore claiming to be a safe Wallet for transactions and storing. Developed by StarStone Limited, it can be downloaded for iOS, Android, Windows, Mac, and Linux. It is a completely free Wallet and doesn’t charge anything from their side. They do not send any information or secret passcodes from you Phone to their servers, thus claiming it to be secure. All these features makes it an ideal wallet to store ripple. Download the Toast App according to your device specifications. Click on “Create a New Wallet”. Then Enter 6 Digit PIN and after that, you need to set a “Passphrase”. Your Passphrase is used to encrypt your wallet and hence should be kept confidential. Recovery Phrase is also shared to recover your account if you forget your Passphrase. Note down those 6 words somewhere for future reference. Now click on “Add Account” and generate new Ripple address. After generating an address, you need to activate the wallet by putting minimum 21 XRPs in it. You can send payments by using recipient’s Ripple address and the amount to be sent. Easy and quick sending and receiving of XRPs as the app runs on your mobile device. You can view your account balances and transactions using this wallet. You can also generate a backup from the settings menu of the app after generating your Ripple address and thus is useful even when you have lost your mobile. Heavily encrypted keys are stored on your device only for security purposes. If you forget your PIN and Passphrase and didn’t note down the recovery phase, you might lose the account and all the currency associated with it. Since it is a web wallet some risk of malware still threatens the data. You have to make backups before you delete your app otherwise your currencies and data will be lost forever. The Coinpayments system is just not a wallet but also acts as an exchange platform and an online product marketplace with Ripple as its main currency. It is a website which works quite similar to a bank where you can open an account and store currency. It accepts around 105 altcoins or you can just store one with a low transaction fee of flat 0.50%. It is a web wallet with its security implemented by using BitGo. All the currency is claimed to be 100% secured by BitGo using multisignature technology which gives greater control power to the user. Multisignature technology is used for highly secure networks in Blockchain by adding one more key to authorize the transaction. You can exchange an unlimited number of your XRPs and even store them. It allows you to buy also online, as it has collaborated with several merchants and you can use your currency as a payment method with a low transaction fee. Create an account by registering on their official website using your Email Id. Creating an account and withdrawing money is entirely free. It uses a 2 Factor Authentication method, so a code will be sent to you on your Email Id, to log in further. Next, generate Deposit Address, Go to My Accounts and then into “Coin Wallets”. Select Ripple and then click “Deposit” to generate the Address. You can send and pay currency using this generated Address. You can store XRP, along with various other cryptocurrencies. Using Multisig technology makes transaction faster and also gives more control with lesser chances of hacking. You can also convert your coins to fiat currencies there such as US Dollars and Euro. Their site is quite easy to navigate and intuitive making it user-friendly. It has integrated with Magento 2 Store and uses Magento 2 cryptocurrency Wallets to store your coins. It also has a mobile App for Android and IOS user, so you can download and use it wherever you go. Since it is an Online Wallet, it always has the risk of Hackers. Also, it is integrated to Paypal which has a leakage of information risk regarding your Bank Accounts if it gets access to any of your information. It is another Online Wallet to store XRPs and also to perform transactions in a fast and secure way. You can store and exchange in about 15 cryptocurrencies and allows direct transactions and instant exchange between currencies for a more smooth process under just one account. It charges very low transaction fees and opening an account is free of cost. Security is a strong component of this Wallet as it has taken care to include two-step verification process, encrypted SSL connection over HTTPS, and trusted internet protocols to enhance the account protection and its safety. It is also said that it provides Bank Grade security and thus privacy and anonymity of your identity is never at stake. 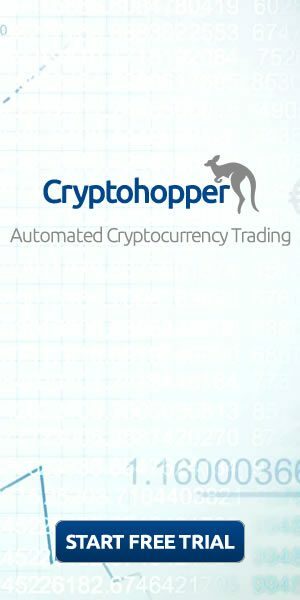 You can also access Cryptonator as a Chrome extension, as they have integrated with Chrome Browser giving it more authentication and easier access to customers. There are two types of account with Cryptonator, Personal and Merchant Account. Create an account by entering Email Id and Password. Confirm your Email Id. While using Mobile App you will have 2 Factor Authentication code using OTP sent to your mobile. Log into your account and generate your Deposit Addresses. Click on “Create new address” from the drop-down menu next to Account name. Each cryptocurrency can support up to 10 addresses. You can now use these addresses to send and receive coins and for transaction purposes. You will be asked for OTP again when confirming your payment information to make it more secure. High-grade security with two-factor authentication and all the user data is hashed by the SHA-256 cryptographic algorithm. You can download App version for Android on your mobile device and also Chrome extension. Transactions are fast, easy and direct with only one account supporting 15 different other cryptocurrencies. You can also convert currency into fiat currencies in real time with low commission fees. Being an online wallet, it is vulnerable to hacking and leaking of your information. In case of mobile theft, you can contact them and get hold of your account immediately. Uphold is not just used to store Ripple. It is a multi-cryptocurrency exchange on which you can convert your fiat currency into cryptocurrency. Unlike other cryptocurrency exchanges, you can buy cryptocurrency instantly using your debit card on Uphold. You can also send, receive, trade and convert the various cryptocurrencies that the platform supports. Uphold allows users to start buying cryptocurrency as soon as they register and confirm their email ID. However, in order to place orders that are worth more than $1,000, you need to complete the KYC procedure set by Uphold. Create an account on Uphold using your email ID. Verify your Email ID by clicking on the link sent to you. You will now be able to place small buy and sell orders. In order to be able to place bigger orders, you need to complete the KYC procedure by submitting a few documents. Once the KYC procedure is complete, you will be able to place larger orders from your account. In order to further secure your account, enable the 2FA authentication. Supports a wide array of cryptocurrencies and countries. Provides users with the ability to buy cryptocurrencies instantly by using their debit/credit cards. The service uses multiple security measures in order to secure your account. Uphold is a hot wallet. This means that it is vulnerable to hacks and thefts. You don’t have full control over your funds as your private keys are always hidden from you. Even though they allow you to buy cryptocurrency instantly, they charge a hefty fee on every buy order. Exarpy provides the best wallet service for the Ripple cryptocurrency which can be considered as a warm wallet as well. Unlike hot wallets that are always connected to the internet, Exarpy is connected to the internet only when you want to use the funds stored in it. Exarpy does not require any specialized software to access your wallet either. The wallet is generated offline and neither the private keys nor the public address is stored on any servers. In fact, Exarpy does not have any servers dedicated to storing the Ripple addresses. The wallet provides a very easy to use interface that is extremely responsive. Thus, making it an enjoyable experience. After you go to the Exarpy website, you will need to accept all the conditions and hit “Continue”. You will then be asked to disconnect from the internet. Once you have disconnected, you will see an option to “Create a wallet”. In order to create a wallet, you will need to choose 16 randomly generated numbers and click on “Continue”. You will be now able to see your randomly chosen pin numbers, along with the passphrase and private key. Note them all down on a piece of paper and store it in a safe place. You will then be asked to enter the pin and the passphrase. Once entered, click on “Login”. You will then be prompted to reconnect to the internet. After you do this, you will be able to access your funds. Outstanding security offered for a non-hardware wallet. This wallet is also integrated with an exchange service called Changelly which allows you to buy more Ripple. There is an extremely low fee of 0.025 Ripple for every transfer that you make. You require the pin and the passphrase in order to log in to your account. Thus, making the wallet less portable. The wallet does not support any other cryptocurrency other than Ripple. Guarda is one of the most trusted mobile wallets that can be used to store your blockchain based digital assets. This hot wallet service also provides an app that allows you to do transactions using your PC. Unlike most of the other hot wallet providers, Guarda gives you the access to the private keys to your account. This means that you will have full control over the funds in your wallet. You can easily create a new wallet by providing your email ID and password. This wallet service is also integrated with Changelly. This means that you can also buy and sell cryptocurrency on this platform. You can download the guarda android app from the google play store. You can alternatively go to their official website. Click on “Create a wallet”. You will now have to enter your email ID and password. Click on “Continue”. Once your wallet is created, you need to enter your password to log in..
Once you have logged in, you will be able to use the various services that they provide. Supports multiple platforms which means that it is easy to access the wallet from any place you want. With a built-in exchange, you can easily buy and exchange your cryptocurrency. You have full control over your funds as you have the access to the private keys on this platform. With the support of over 30 cryptocurrencies, this is the only wallet that you would require. Security is a major concern with the guarda wallet. Other than the password that you set, there are no additional security measures. Like other hot wallets, even Guarda is vulnerable to thefts. We have discussed the best wallets to store ripple safely. Ensure you research for the security and other features of the chosen wallet. 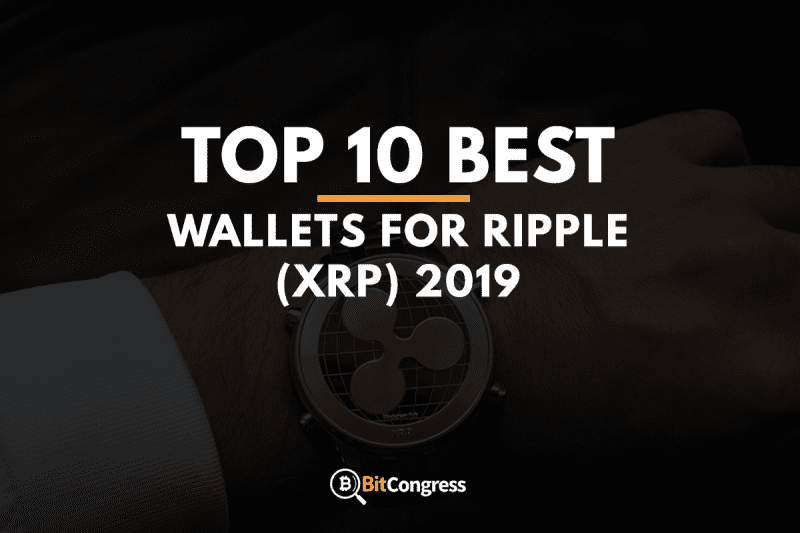 We hope that the article helped in choosing the best xrp wallet to store ripple safely.